Candy lovers, rejoice! Candytopia, an interactive installation inspired by all things sweet, will be in San Francisco next month, and we cannot wait. 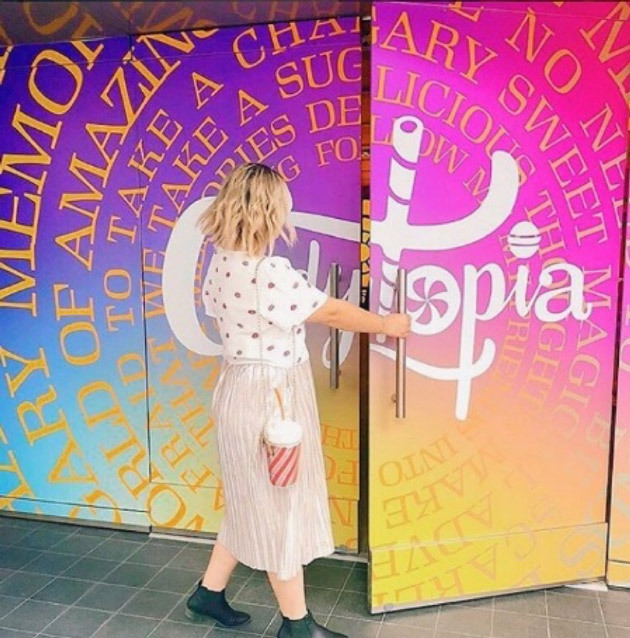 Following on the heels of the immensely popular Museum of Ice Cream, Candytopia is a multi-sensory immersive experience asking the question, “What if an eccentric chocolatier and a daredevil pop star had a whirlwind romance, got married while skydiving, and had a glamorous, glittering love child who grew up to rule a small nation?” If this thought has ever crossed your mind, Candytopia is the perfect place to find the answer. Featuring a dozen themed rooms highlighting massive candy creations, flying unicorn pigs, a “marshmallow tsunami”, and much more, this installation was originally debuted in Santa Monica earlier this year to sold-out crowds and is loved by many celebrities including Gwyneth Paltrow and Christina Aguilera. Though many of the same themes will be brought from LA, expect some SF-only components and treats as well. Candytopia is officially opens to the public September 6, and will be entertaining visitors until November, so be sure to purchase your tickets here and get ready for one sweet experience!